Click the link1 below to be taken directly to the product page. L-Theanine Liquid - Natural Lemon - 2 fl. oz. Contains colostrum derived Proline-Rich Polypeptides that support immune system function and cognitive function. Article: Supplements for Fatigue, Brain Fog, Memory, Sleep, ADHD & Behavioral Issues? NuMedica Neuro PRP Spray is a bovine colostrum immune balancing spray containing Proline-Rich Polypeptides (PRPs), which help to modulate normal immune responses. PRPs are information-carrying proteins (peptides) with amazing adaptability. They support the body's balanced production of cytokines by sending signals via specific cell receptor sites. PRPs also support the thymus gland, which is known as the body's central command for the immune system. Proline-Rich Polypeptides, called PRPs for short, are small chains of amino acids that help with initiating and balancing our immune responses. Think of them like a General in the Army. The General is in charge of winning the war (our Immune system response to sickness/disease) and decides which troops should fight, when and where. PRPs enhance the ability of thymus gland to release factors that help regulate immune functions in the body. NuMedica provides ImmunoG PRP in Powder, Capsule, Chewable and Spray form. These four products, some of which come in multiple sizes, have a BLUE label. The ImmunoG PRP product line is ALSO offered with a YELLOW label and is called Gluten Support GI Restore. These are exactly the same products that have been relabeled for those healthcare providers who want to emphasize "Gluten" as part of their healthcare practice. The ingredients, product size, and directions for use are exactly the same so you can safely choose from either the ImmunoG PRP or the Gluten Support GI Restore product line. Below we list the products in each line with a brief description of their unique characteristics. To make this a little more interesting, the Spray form is ALSO offered with a PURPLE label and is called Neuro PRP Spray. All three of these different labelled sprays are exactly the same spray. Neuro PRP Spray - 2.5 oz 4 Sprays 28 Spray four times directly into the mouth and hold for up to 30 seconds before swallowing. Take twice daily, early in the morning and before bedtime, or as directed by your healthcare practitioner. 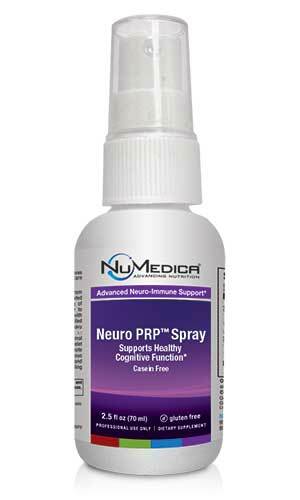 Neuro PRP Spray - 5 oz 4 Sprays 56 Spray four times directly into the mouth and hold for up to 30 seconds before swallowing. Take twice daily, early in the morning and before bedtime, or as directed by your healthcare practitioner. Storage: Store at room temperature. Refrigerate after opening and use within 30-45 days of opening. Contents: Bovine lacteal compounds, natural flavoring, sodium benzoate and potassium sorbate (to maintain freshness). Free of: Eggs, fish, shellfish, tree nuts, peanuts, wheat, soy. Does not contain artificial colors or sweeteners. Caution: Do not use if you are pregnant or if you have received an organ transplant. Keep out of reach of children. Storage: Store at 15° to 30° C (59°-86°F). Avoid exposure to direct sunlight. Refrigerate after opening in warm climates and use within 30-45 days. Certificate for colostral fractionation process is protected by US Patent No. 7,547,770. We encourage you to take advantage of these FREE Wellness Resources on our website. 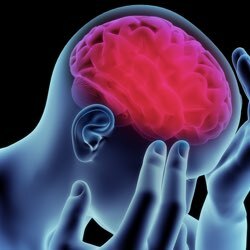 Supplements for Fatigue, Brain Fog, Memory, Sleep, ADHD & Behavioral Issues? Many people suffer from Neuro-Endocrine-Immune diseases and disorders. This is a very deep and very specific group of issues, and this article will only scratch the surface of what these products can do. I encourage you to dig deeper into product descriptions if something piques your interest. Nutrient-rich supplement that boosts dopamine production that may help with improved memory, focus, attention, fine motor skills, moods, and sleep patterns. Contains colostrum derived Proline-Rich Polypeptides in spray form that support immune system and cognitive function. Designed with powerful antioxidants to support mitochondria and may speed up healing and recovery, and reduce fatigue. Topical cream that provides the nutrients essential for optimal neurological and immune system function. 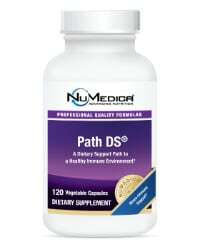 Natural dietary supplement designed to help suppress viral, bacterial, fungal, and yeast growth. Ask questions. Share your thoughts. Note that we cannot answer questions relating to specific medical conditions - please refer those to your qualified healthcare provider. Post a new Comment or Reply to an existing one. Help for using the Discussion Forum. Share your thoughts. Post a new Comment or Reply to an existing one. Comments are displayed in order of the last one posted so the most recent Comment is at the top and older Comments are towards the bottom. Replies within a Comment are displayed in reverse order with the oldest Reply at the top and the most recent one at the bottom. Each post identifies who made the post and the date and time the post was made. Mouse over the icons for tooltips that explain what the data means. If you see this icon you can attach an Audio file to your post. If you see this icon you can attach a Document file to your post. If you see this icon you can attach an Image file to your post. If you see this icon you can attach a Video file to your post. You will see the Ban icon (Report Post as SPAM) immediately following the Timestamp of the post. Click this icon if you feel strongly that the content posted is not appropriate and should be reviewed by the Forum Moderator. You will be provided with a confirmation dialog to be sure you wish to submit this post for review. If submitted, the Forum Moderator will be notified to review the post and will determine what type of action to take. Click in the upper right corner of this Help modal or anywhere on the web page outside of the modal to exit Help. Please call (888) 424-0032 or email if you have questions or need assistance. We accept Visa, MasterCard, Discover and American Express credit cards. Payments are securely processed through industry leader Authorize.net of which SupplementRelief.com is a Verified Merchant. We DO NOT retain or store your credit card information after the purchase. The charge will appear on your credit card statement as SupplementRelief.com. You may choose from the shipping options below on the Order Checkout form. Some International orders may cost more to ship depending upon weight and location. If that happens we will contact you first and get your approval for any additional charge before proceeding. When your order ships we will send you a confirmation email with the delivery tracking information. Most orders are shipped USPS, UPS or Federal Express. Delivery times vary from two to five or more business days based upon option chosen, delivery location and sometimes weather and seasonal issues. If we have made a mistake on your order, or the product arrives in a damaged or unusable condition, we will make every reasonable attempt to right the situation quickly to your satisfaction. We accept returns subject to the condition the product is returned in. All cancellations and returns must first be authorized by contacting us by email or calling us at (888) 424-0032. In your request, please let us know the reason for your cancellation or return. We will respond promptly with authorization, the return address and a return postage label if appropriate. If your order has not been shipped yet, you can request a cancellation. Your original purchase amount will be refunded within three business days. If your order has already shipped you can return any un-opened products for a 100% refund and opened products for a 50% refund within 30 days of receiving your order. Un-opened means the protective seal on the bottle or container, or the shrink-wrap on the box or kit, has not been broken and the product has not otherwise been damaged in any way. You may use the original packaging for return or acquire your own. The buyer pays the return postage unless we have made a mistake in which case we will provide you with a return postage label. Returned products should be insured for the price of the product and shipped to the return address provided in your return instructions, otherwise buyer assumes responsibility for lost or damaged goods caused by the carrier. Upon receipt of returned product(s), we will refund your credit card within three business days for the product(s) returned. There are two general categories of information we collect. 1.1 Information You Give to Us. 1.1.1 Information that is necessary for the use of the Site (required; provided as necessity). Account Information. When you sign up for a SupplementRelief.com Account, we require certain information such as your first name, last name, email address, address, phone number and password you choose. Payment Information. To use certain features of the Site (such as ordering products or Services), we may require you to provide to our third party payment processor, certain financial information (like your bank account or credit card information) in order to facilitate the processing of payments. All financial information will be collected directly by third party payment processors according to their privacy policies. Communications with SupplementRelief.com and other users and customers. When you communicate with SupplementRelief.com or use the Site to communicate with other users and customers, we collect information about your communication and any information you choose to provide. If you wish to use the Site, we require the aforementioned information; if you do not want to provide this information, you should not use the Site. 1.1.2 Information you choose to give us (optional; provided with consent). Additional Account Information. You may choose to provide additional information as part of your SupplementRelief.com Account (such as your personal description, location, and preferred language(s)). This information will be publicly visible to others. If you do not wish to share this information with SupplementRelief.com or others, do not provide the information as part of your SupplementRelief.com Account. Other Information. You may otherwise choose to provide us information when you fill in a form, conduct a search, update or add information to your SupplementRelief.com account, respond to surveys, post to community forums, participate in promotions, or use other features of the Site. In these situations, SupplementRelief.com will collect the requisite consent. 1.2 Information We Automatically Collect from Your Use of the Site. When you use the Site, we automatically collect information, including personal information, about the services you use and how you use them. This information is necessary for the performance of a contract in which the data subject is a party and to allow us to comply with our legal obligations under the contract and more generally. Also, this information is necessary given our legitimate interest in being able to provide and improve the functionalities of the Site. Geo-location Information. When you use certain features of the Site, we may collect information about your precise or approximate location as determined through data such as your IP address or mobile device's GPS to offer you an improved user experience. Most mobile devices allow you to control or disable the use of location services for applications in the device's settings menu. SupplementRelief.com may also collect this information even when you are not using the app if this connection is enabled through your settings or device permissions. Usage Information. We collect information about your interactions with the Site such as the pages or content you view, your searches for Products or Services, and other actions on the Site. Log Data and Device Information. We automatically collect log data and device information when you access and use the Site, even if you have not created a SupplementRelief.com Account or logged in. That information includes, among other things: details about how you've used the Site (including if you clicked on links to third party applications), IP address, access dates and times, hardware and software information, device information, device event information, unique identifiers, crash data, cookie data, and the pages you've viewed or engaged with before or after using the Site. We use, store, and process information, including personal information, about you to provide and improve the Site and comply with our legal obligations. 2.1 Provide and Improve the Site. Enable you to access and use the Site. Enable you to communicate with other users and customers. Operate, protect, improve, and optimize the Site and experience, such as by performing analytics and conducting research. Send you service or support messages, updates, security alerts, and account notifications. Send you promotional messages and other information that may be of interest to you based on your preferences (including information about SupplementRelief.com or donor offers and launches). We process this information given our legitimate interest in improving the Site and our users' and customers' experience with it, and where it is necessary for the performance of the contract with you and/or a legal obligation. You can opt-out of receiving communications from us by following the unsubscribe instructions included in our marketing communications or changing your notification settings within your SupplementRelief.com account. 2.2 Comply With Our Legal Obligations. Verify or authenticate information provided by you (such as to verify your authorization to act as an agent on behalf of a nonprofit organization). Conduct checks against databases and other information sources, to the extent permitted by applicable laws. Resolve any disputes with any of our users or customers and enforce our agreements with third parties. We process this information given our legitimate interest and legal obligation to protect the Site, to measure the adequate performance of our contract with you, and to comply with applicable laws. SupplementRelief.com may process your information if it is necessary for legitimate interests, except where such interests are overridden by the interests or fundamental rights and freedoms of the data subject which require protection of personal data. Where you have provided consent, we share your information, including personal information, as described at the time of consent. If you participate in promotional activities conducted by SupplementRelief.com partners or third parties we may also share information if you have provided us with prior consent to do so. 3.2.1. Profiles and other Public Information. Parts of your public profile page, such as your first name, your description, and city, are publicly visible to others. If you submit content in a community or discussion forum, blog or social media post, or use a similar feature on the Site, that content is publicly visible. Information you share publicly on the Site may be indexed through third party search engines. If you change your public-facing content, these search engines may not update their databases. We do not control the practices of third party search engines, and they may use caches containing your outdated information. 3.2.2. Compliance with Law, Responding to Legal Requests, Preventing Harm and Protection of our Rights. SupplementRelief.com may disclose your information, including personal information, to courts, law enforcement or governmental authorities, or authorized third parties, if and to the extent we are required or permitted to do so by law or if such disclosure is reasonably necessary: (i) comply with our legal obligations, (ii) to comply with legal process and to respond to claims asserted against SupplementRelief.com, (iii) to respond to verified requests relating to a criminal investigation or alleged or suspected illegal activity or any other activity that may expose us, you, or any other of our users to legal liability, (iv) to enforce and administer our Terms of Service or other agreements with our users and customers, or (v) to protect the rights, property or personal safety of SupplementRelief.com, its employees, its users, customers or members of the public. Where appropriate, we may notify users and customers about legal requests unless: (i) providing notice is prohibited by the legal process itself, by court order we receive, or by applicable law, or (ii) we believe that providing notice would be futile, ineffective, create a risk of injury or bodily harm to an individual or group, or create or increase a risk of fraud upon SupplementRelief.com's property, its users and customers and the Site. In instances where we comply with legal requests without notice for these reasons, we will attempt to notify that user or customer about the request after the fact where appropriate and where we determine in good faith that we are no longer prevented from doing so. SupplementRelief.com enters into contracts with third parties to provide certain donations to SupplementRelief.com users, customers, or companies that offer their products and/or services on the Site ("Third Party Companies"). SupplementRelief.com will share your account information with Third Party Companies when you request donations or purchase products and/or services from such Third Party Companies. SupplementRelief.com will need to share your account information, including your personal information, to implement a contract between you and the Third Party Company. Your account information will be processed according to the privacy policies of such Third Party Companies. We will provide you with these policies as reasonably appropriate. SupplementRelief.com uses a variety of third parties to help us provide services related to the Site. Service providers may be located inside or outside of the European Economic Area ("EEA"). The EEA unites the EU Member States and the three EEA EFTA States (Iceland, Liechtenstein, and Norway) into a market governed by the same basic rules (such as GDPR). We may also share aggregated information (information about our users that we combine together so that it no longer identifies or references an individual user) and other anonymized information for regulatory compliance, industry and market analysis, insights about the sector, demographic profiling, marketing and advertising, and other business purposes. We may share this aggregated data with the public. The Site may contain links to third party websites or services, such as third party integrations, co-branded services, or third party-branded services ("Third Party Partners"). SupplementRelief.com doesn't own or control these Third Party Partners and when you interact with them, you may be providing information directly to the Third Party Partner, SupplementRelief.com, or both. These Third Party Partners will have their own rules about the collection, use, and disclosure of information. We encourage you to review the privacy policies of the other websites you visit. You may exercise any of the rights described in this section by sending an email to [email protected] Please note that we may ask you to verify your identity before taking further action on your request. You may access and update some of your information through your Account settings. You are responsible for keeping your personal information up-to-date. 5.2 Rectification of Inaccurate or Incomplete Information. You have the right to ask us to correct inaccurate or incomplete personal information concerning you (and which you cannot update yourself within your SupplementRelief.com Account). 5.3 Data Access and Portability. In some jurisdictions, applicable law may entitle you to request copies of your personal information held by us. You may also be entitled to request copies of personal information that you have provided to us in a structured, commonly used, and machine-readable format and/or request us to transmit this information to another service provider (where technically feasible). 5.4 Data Retention and Erasure. We may retain some of your personal information as necessary for our legitimate business interests, such as fraud detection and prevention and enhancing safety. For example, if we suspend a SupplementRelief.com Account for fraud or safety reasons, we may retain certain information from that SupplementRelief.com Account to prevent that user or customer from opening a new SupplementRelief.com Account in the future. We may retain and use your personal information to the extent necessary to comply with our legal obligations. For example, SupplementRelief.com may keep some of your information for tax, legal reporting and auditing obligations. Information you have shared with others (e.g., forum postings) may continue to be publicly visible on the Site, even after your SupplementRelief.com Account is cancelled. However, attribution of such information to you will be removed. Additionally, some copies of your information (e.g., log records) may remain in our database, but are disassociated from personal identifiers. Because we maintain the Site to protect from accidental or malicious loss and destruction, residual copies of your personal information may not be removed from our backup systems for a limited period of time. 5.5 Withdrawing Consent and Restriction of Processing. Where you have expressly provided your consent to the processing of your personal information by SupplementRelief.com you may withdraw your consent at any time by changing your Account settings or by sending a communication to SupplementRelief.com specifying which consent you are withdrawing. Please note that the withdrawal of your consent does not affect the lawfulness of any processing activities based on such consent before its withdrawal. Additionally, in some jurisdictions, applicable law may give you the right to limit the ways in which we use your personal information, in particular where (i) you contest the accuracy of your personal information; (ii) the processing is unlawful and you oppose the erasure of your personal information; (iii) we no longer need your personal information for the purposes of the processing, but you require the information for the establishment, exercise or defense of legal claims; or (iv) you have objected to the processing pursuant to Section 5.6 and pending the verification whether the legitimate grounds of SupplementRelief.com override your own. In some jurisdictions, applicable law may permit you to legally object to SupplementRelief.com processing. In these instances, you may require SupplementRelief.com not to process your personal information for specific purposes (including profiling) where such processing is based on legitimate interest. If you object to such processing SupplementRelief.com will no longer process your personal information for these purposes unless we can demonstrate a legal basis for doing so or such processing is required for the establishment, exercise or defense of legal claims. We are continuously implementing and updating administrative, technical, and physical security measures to help protect your information against unauthorized access, loss, destruction, or alteration. Some of the safeguards we use to protect your information are firewalls and data encryption, and information access controls. If you know or have reason to believe that your SupplementRelief.com Account credentials have been lost, stolen, misappropriated, or otherwise compromised or in case of any actual or suspected unauthorized use of your SupplementRelief.com Account, please contact us following the instructions in the Contact Us section below. Disclaimer: This page is available exclusively for SUPPLEMENTRELIEF.COM clients. None of the information on this website is intended to replace your relationship with your healthcare provider(s). Nothing should be considered medical advice nor is a physician-patient relationship implied. The information, knowledge, and experience shared on this website is the opinion of SupplementRelief.com. This site and its content is intended to enhance your knowledge base as YOU MAKE YOUR OWN HEALTHCARE DECISIONS in partnership with your qualified health professional. There is NO GUARANTEE OF SPECIFIC RESULTS for the products or services offered and the RESULTS CAN VARY for each individual. These statements have not been evaluated by the Food and Drug Administration. These products and services are not intended to diagnose, treat, cure or prevent any disease. NuMedica may be promoted and sold on the internet ONLY by Authorized Healthcare Providers who have been approved by NuMedica and have registered their website domain. NuMedica strictly prohibits, and actively monitors, the UNAUTHORIZED SALE of NuMedica supplements in online public shopping portals including Amazon, eBay, and others. NuMedica supplements purchased in SupplementRelief.com are for PERSONAL USE ONLY and CANNOT BE RESOLD to others. Please report violations of NuMedica's Provider Policy to NuMedica at 800.869.8100. The content and photographs on this website are copyrighted or Licensed Material and may not be downloaded for other than personal use. Republication, retransmission, reproduction or any other use of the content or photographs is prohibited. ©2010-2019 SupplementRelief.com.